At the pointy end of the field, Karl Meltzer is Mr. Hardrock. 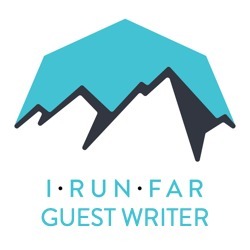 He’s won the Hardrock 100 more than his fair share of times and held the counterclockwise (slower direction) course record until Seb Chaigneau broke it last year. Here are Speedgoat Karl’s odds for this year’s Hardrock 100! Kilian Jornet (2-1) – I don’t think it would be right to put Kilian anywhere but #1 on the odds list, but it’s not his to lose, it’s only his to win. The talent that lines up behind him will all be ready to pounce hard if he falters for even just a few minutes. He’s proven altitude is not really a factor with his recent record on Denali and he’s in Silverton now “acclimatizing” to the Hardrock world. No one is better than Kilian Jornet right now, and even with it being his first crack at the Superbowl, he’s bound to score another touchdown when everyone in town is still sleeping. I’d guess, too, that he’s more interested in winning than running for a record. I’ll give him 2-1 odds on winning. The record is a mystery, ‘cuz it’s pretty darn stout at 23:23. Dakota Jones (3-1) – He wants it, and he’s raced and beaten Kilian. Some of Dakota’s times are equally as fast as KJ, and he’s not over-raced. I don’t know if he’s over-trained, but he’s got a good coach to keep him in line, and if he tapers correctly… look out for Mr. El Presidente. He’s also run fast here before on an “okay” day, in the 25 ½ range. He has a lot more in the tank now. He won’t be far back… 3-1, probably a safe bet to at least show. Julien Chorier (4-1) – Now that he’s running in Hokas, he’ll probably charge those descents better. He’s not over-raced and he’s also been here before. He ran 25:17 on the altered course thru Telluride, which is very equivalent to my 24:38 in 2009. It was fast and the second time is always better. He’ll make the podium this time around, but he won’t kiss the rock first. Joe Grant (5-1) – After issues last year running into Ouray, (or somewhere around there) Joe had to drop somewhat early due to medical issues. He ran all day with Sébastien Chaigneau, speaking some crazy French language. My guess is Joe will play his own game this time and run much smarter, he’ll probably drink more, too. Joe has run 25:05 here, super fast in this direction, the third-fastest ever clockwise. He’s also run the fastest split ever from Cunningham to the finish, I believe it’s 2:01… that’s really fast folks! He’ll likely improve on that with the super strong field this year. Definitely a podium spot is there for the taking if he runs well. 5-1 and a good bet if you’ve got some extra cash. Timmy Olson (5-1) – Mr. Western has been smiling for a few years now, and he’s been training specifically for Hardrock for a few months. Is this his year at HR? I’d love to say yes, but my guess is he’ll learn a few things and be back another year to kiss the rock first. I’d hope Tim has tapered enough, he’s been running big miles and big vertical for quite some time now. He’ll be tough to the end, that’s a given, but my guess is legs will be a little tired… I’d love to see him prove me wrong. He’s right in there with Joe. Sébastien Chaigneau (6-1) – Seb won it last year, eclipsing my record in the counterclockwise direction with a stellar 24:25. He’s got Jurker lighting his way, and they ran together last year, too. There is no team more solid than these two. I’d suspect if Scott pushes Seb to run like Brian Morrison years ago at Western States, he’ll run hard all day till he can’t run hard anymore. Podium in the cards for sure. Only 6-1 because of a lousy season so far… not so lousy for us mortals, but not his best lead up, either. Jeff Browning (8-1) – One of the best closers in the sport of 100-mile racing in the mountains. He’s got eleven 100-mile wins in 17 starts, a pretty high percentage, but with this field, it’ll soon be eleven for 18. My guess, though, is he’ll have one of the top-three fastest splits from Sherman to the finish. Bronco will prove why he’s called Bronco. Giddyup. Jared Campbell (10-1) – Mr. Barkley will once again show us why he’s probably the toughest runner in this field, including the group above him here. This year it’s about some speed, and Jared is not quite as fast on easier terrain as those above, but when it gets ugly… well, he’s Mr. Barkley, you do the math. 10-1 and a good bet to win some money if he shows. Adam Campbell (12-1) – His only issue is he’s from sea level in British Columbia. If he’s in decent shape, he can run with the best of ’em. I don’t really know how Adam’s season has gone so far, but he’s speedy if he’s ready. This race is a bit different for him at altitude and technical. He’ll be with the leaders early, we’ll see where he ends up. Tsuyoshi Kaburaki (15-1) – He’s shown great results in multiple 100s, so there’s no reason for him to not be in the top 10. The youth of this race this year will get the best of him, but look for him to be sub-28… which would have won the damn thing many times in the past. Scott Jaime has run 26.5 hours… that’s quick and should get more love here. I just think he’ll be happy to keep smiling during the whole run. Ted Mahon from Aspen has run fifth and around 28 hours. This is his kind of course and, for some unknown reason, he still flies under the radar. Adam Hewey finished last year hunched over around 29 hours. My guess is, if he’s not hunched over again with a crutch, he’ll run under 28. He’s recently run some speedy shorter races. Another mystery man. Ty Draney runs sub-30 if his belly doesn’t get him first. Diana Finkel (3-1) – Still the favorite after once spending some time sleeping in a hospital. Last year, she dropped with the same symptoms. My guess is three strikes and you’re out, but she won’t strike out this time. She’ll win in convincing fashion around 27 hours. She goes out hard, and hangs on. It is a very risky way to run this race, but I’m not sure it’s possible to drop three years in a row for Diana. She’ll win. Darcy Piceu (4-1) – Diana’s only real competition this year, but it only takes two in a race to make it a race to win. She always runs her own race and if Diana does not have her day in the sun, rain, and thunderstorms, Darcy will. Darcy won the past two years, after Diana was way out in front, but then had to bail, both times very late in the race, when Diana was considered “gone, daddy, gone.” Darcy should be the favorite after winning the past two years, but for some reason, I see things like a goat. Sarah McCloskey (6-1) – Sarah got in about a week ago, and has been training well, and racing well, too. She had been injured a bit early season, so not quite as many miles under her buckles as she’d like, but she’s tough and will mop it up if there is some mud to mop. Podium spot is in the cards. 6-1. Question remains after the fact: Will she be able to finish the Speedgoat 50k one week later and remain one of only three who have finished Speedgoat every year? Suzanne Lewis (12-1) – She’s not as fast as the three above, but she’ll surprise us all with a strong finish. She trains in Speedgoat country, so she’s prepared and always carries a smile. Top 5 easily. Betsy Nye (13-1) – Betsy was just here at my house passing through, so I sent her some good vibes. She says it’ll be ugly. I disagree. She has the second-most Hardrock finishes amongst the women and she’ll add another nice performance this year. Betsy Kalmeyer (15-1) – The most finishes and wins by a woman here. She’s a bit past her day of running sub-30, but she’s the Betsy that knows how. She’ll add another solid finish mid 30s and keep the streak alive. Kim Gimenez and Jaclyn Greenhill will take the next two spots, surviving the San Juans. What do you think of Karl’s odds? What a race this is, incredible line up. Karl's odds add up to 160% which means he is overpredicting everyone's chance of winning by about 60%. Assuming he is confident in his relative predictions, you can renormalize his odds to add to 100 and you get Kilian 4:1, Dakota 11:2, Julien 7:1, Joe and Timmy at 9:1 each, Seb 10:1, Jeff 13:1, Jared 16:1, Adam 20:1 and Tsuyoshi at 25:1. If however, Karl really means to predict the top guys at 2:1 (33%) 3:1 (25%) and 4:1 (20%) then the rest of the field has to have their chances greatly reduced, as they only have about 20% chance to split between them. Betting odds (assumimg that's what he was going for here, although I doubt anyone actually bets on ultra running) don't have to add up to 100%. Betting odds reflect the payout if you bet on a person (or team, or horse), and that person wins (I.e., a $1 bet on Killian would win $2, a $1 bet on Dakota would win $3). If you use yourmethod and add up the odds of the World Cup, for example (http://www.lasvegassun.com/blogs/talking-points/2014/jun/11/vegas-odds-world-cup-brazil-stuck-top-not-much/), it adds up to greater than 100%, because the odds reflect payouts rather than probability of winning. These are odds, not probabilities, which is why they're written 3-1 rather than 3:1. Oh, man! Thank you for the explanation. This has always bothered me about Karl's odds. My mathematical mind is now at ease. If Karl offered these as betting odds, he would get his life saving cleaned out by savvy bettors. They're not real betting odds, which would be set by the money, but his predictions. I would love to see this as a Timmy vs Dakota for spots 2-3 and Kilian vs 23:23.
had jared at 17:1 in my book but otherwise we're in sync… karl must have been a bookie at some point… for prediction (non-gambling) purposes, percentages are more intuitive and avoid these kind of issues. karl does have the women's field at a reasonable 80%, which implies the rest of the field has a 20% (4:1) chance of winning. I'd say the odds of Kilian cutting the course are just as good as breaking the course record. More likely is they pack run together for a long time before he heads on ahead in the last 15 miles. He wasn't even in the same zip code as the CR when he was at Pikes Peak. An update for Karl – Adam Campbell moved to Calgary last year (3400 ft elevation) and trains out in Canmore (4500 ft). He ran an FKT on the Canmore quad – 53km's and 4 summits with 16,000 ft of ascent in 9:23:00 (sounds like the Speedgoat course!) and hopefully the speedy Canuck will be in the hunt!